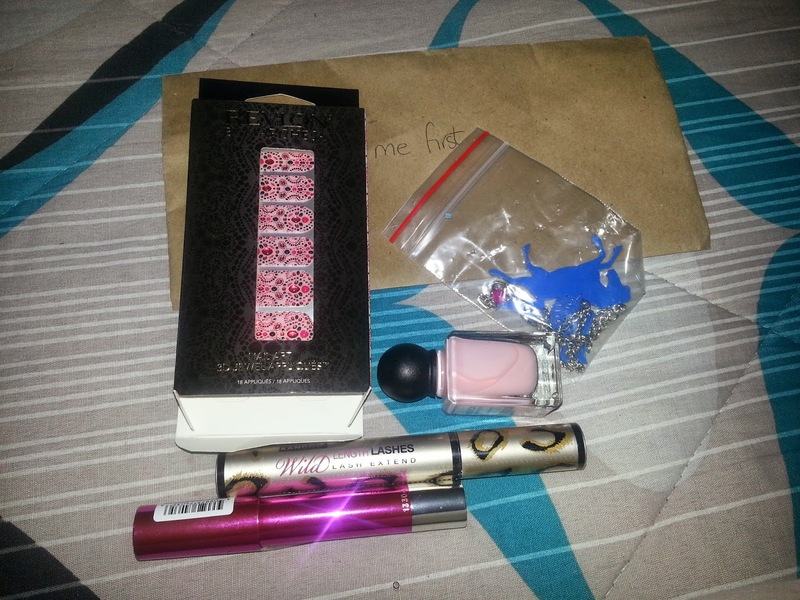 Ms Van Vee: February delish box love. As some of you know im part of the delish box by Lauren of Lip glossed ninja and for the February/March #delishbox i was matched up with sam Wright of That place in my head. It was a very small box, but i loved everthing. she had included a lovely letter and it just made everything so special, plus i have not received a personal letter ever since i left high school. 2. Mascara - so pretty and beautiful i"m even scared of opening it. 4. Nail arts - I've never used any before, new experience. the first thing i opene was the revlon colourlust. maybe because i wanted one to beging with.